After working at a fruit-vending cart for years, single mom Juana decides to take a job at a local Japanese restaurant, which provides security and benefits. Intrigued by the food, she learns to make a multitude of sushi on her own, fusing it with her own culture. 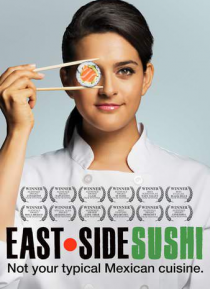 When she attempts to become a sushi chef, she is shut down since she is the 'wrong' race and gender. Against all odds, Juana embarks on… a journey of self-discovery, determined to not let anyone stop her from achieving her dream.